I tend to find we fall into two categories when it comes to hair. For some, the classic approach means keeping the same style, whilst some variations will happen, for the main it's the same do for decades. I'm that person, I've spoken about it before. No matter what I do with my hair, it always falls back into a middle parting and slightly below my shoulders. I am a simple style stalwart. Then you've got the chameleon, ready to change their hair at the drop of a hat (or colouring brush) Or as I like to call them, the brave. Not afraid to cut their hair super short one week, and then get extensions the next. The chameleons who will happily go from a icy blonde, to jet black in a week. There are some celebs who totally fall into these categories. On the classic side of the red carpet we have celebrities such as Jennifer Aniston and Julia Roberts - sure they may have been little changes here and there, but think of them, and I'm sure you think of the hair they've had for a fair few years. 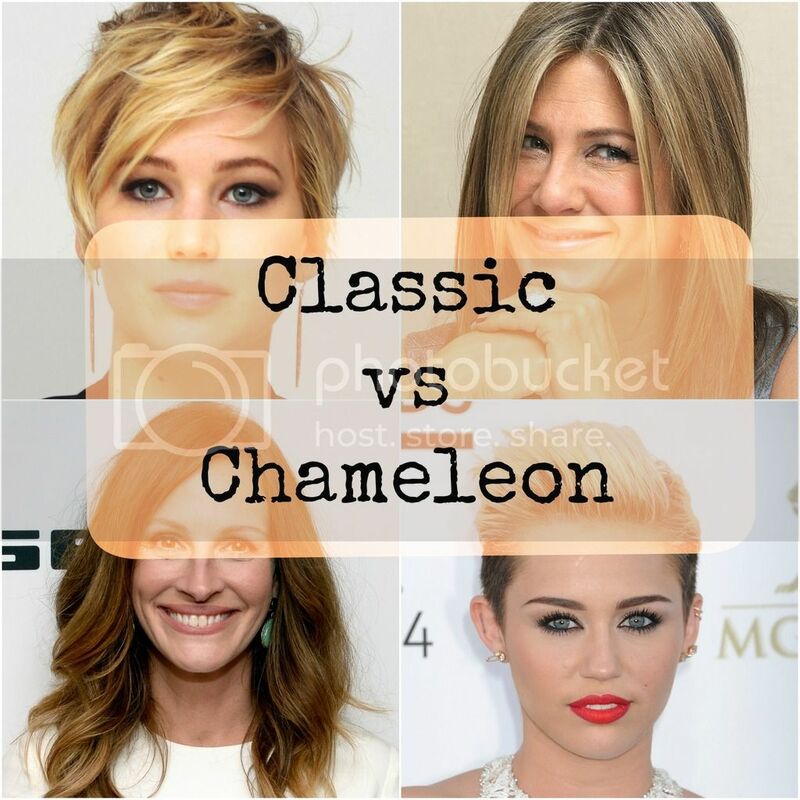 Miley Cyrus, and Jennifer Lawrence are two chameleons who took it from long to short. Rihanna is another that continually changes her style with an estimated £30,000 a week spent on her super-styling barnet. Perhaps if I had an army of stylists ready to chop, glue and change my hair I would be more of a chameleon. So which are you? Classic or chameleon? I do like to experiment with my hair but I would never dye it so I guess I'm classic!